Ref: Hardin, J.C., Ristorecelli, J.R., and Tam, C.W., “ICASE/LaRC Workshop on Benchmark Problems in Computational Aeroacoustics,” NASA CP 3300, 1994. Rossiter, J.E, “Wind-Tunnel Experiments on the Flow over Rectangular Cavities at Subsonic and Transonic Speeds,” British Aeronautical Research Council Reports and Memoranda No. 3438, 1964. 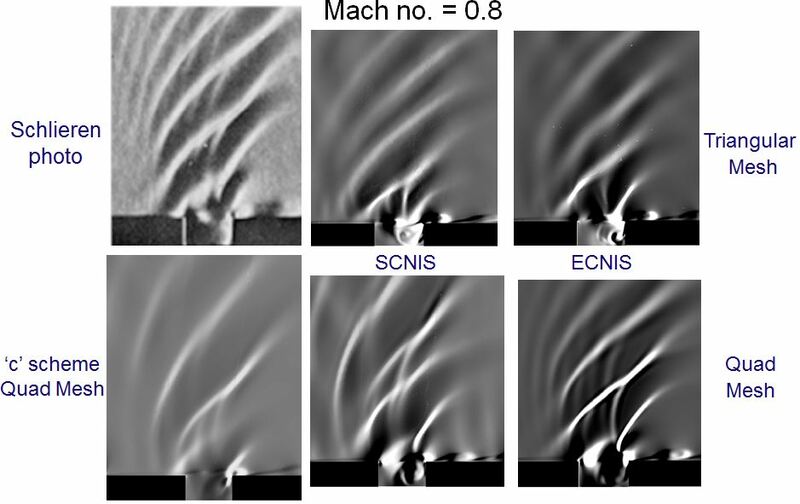 Rowley, C.W, Colonius, T., and Basu, A.J., “On Self-Sustained oscillations in Two Dimensional Compressible Flow over rectangular Cavities,” Journal of Fluid Mechanics, Vol. 455, 2002, pp. 315-346. Krishnamurty, K., “Sound Radiation from Surface Cutouts in High Speed Flow,” PhD thesis, California Institute of Technology, 1956.